Professor Bodek received his BS in Physics (1968) from the Massachusetts Institute of Technology, and his PhD in Physics (1972) also from MIT. He was a postdoctoral associate at MIT (1972-74) and a Robert E. Millikan Fellow at Caltech (1974-77). Professor Bodek joined the University as an Assistant Professor of Physics in 1977. He was promoted to Associate Professor in 1980 and to Professor in 1987. 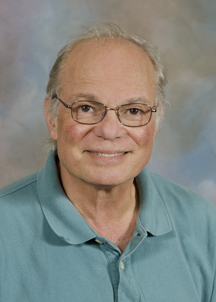 Professor Bodek was appointed as an Alfred P. Sloan Fellow (1979-81); NSF-JSPS Fellow, KEK, Japan (1986); and Fellow of the American Physical Society (1985). He served as a project director at the Department of Energy (1990-91), was Associate Chair (1995-98) and then Chair of the Department of Physics and Astronomy (1998-2007). He is on the editorial board of the European Physics Journal C. Professor Bodek was awarded the 2004 APS W.KH. Panofsky Prize in Experimental Particle Physics "for his broad, sustained, and insightful contributions to elucidating the structure of the nucleon, using a wide variety of probes, tools, and methods at many laboratories." In 2004, Professor Bodek received the University of Rochester Award for Excellence in Graduate Teaching. His doctoral thesis provided some of the evidence of the quark's existence that was the basis for the 1990 Nobel Prize in Physics. Professor Bodek's research interest is in the field of Experimental High Energy Physics. For his PhD, he worked under professors Henry Kendall and Jerome Friedman on the MIT-SLAC deep inelastic electron scattering experiments that provided evidence for the quark structure of matter; the 1990 Nobel Prize in Physics was awarded to Friedman, Kendall, and Taylor for these experiments. Professor Bodek's current research interests are in the physics of W's, Z's, Dileptons and searches for Higgs Bosons (CDF); neutrino physics and neutrino oscillations (CCFR/ NuTeV/ MINERVA) at Fermilab); deep inelastic scattering and nucleon structure (JUPITER at Jefferson Lab); quark distributions in nuclei. In the area of instrumentation, Professor Bodek's research is in the area of scintillating tile/optical-fiber hadron calorimeters. Professor Bodek's research group is currently involved in the CDF, CMS, and MINERVA) experiments. He is also the co-spokesperson of the Jefferson Lab JUPITER program (experiment E04-001). In CDF, his group has built the CDF plug upgrade hadron calorimeter. For CMS, his group has constructed the HCAL hadron calorimeter. Both calorimeters were constructed using tile-fiber technology. For a INSPIRES up-to-date summary of of Bodek's publications click here here. Measurement of d sigma / dy of Drell-Yan e+ e- pairs from p anti-p collisions at s**(1/2) =1.8-TeV. MODELING DEEP INELASTIC CROSS-SECTIONS IN THE FEW GEV REGION. IMPLICATIONS OF A 300-GEV/C TO 500-GEV/C Z-PRIME BOSON ON P ANTIP COLLIDER DATA AT S**(1/2) = 1.8-TEV. STUDIES OF THE RESPONSE OF THE PROTOTYPE CMS HADRON CALORIMETER, INCLUDING MAGNETIC FIELD EFFECTS, TOPION, ELECTRON, AND MUON BEAMS. CMS-HCAL Collaboration (V.V. Abramov et al.). Measurement of d sigma / dM and forward backward charge asymmetry for high mass Drell-Yan e+ e- pairs from p anti-p collisions at s**(1/2) =1.8-TeV.